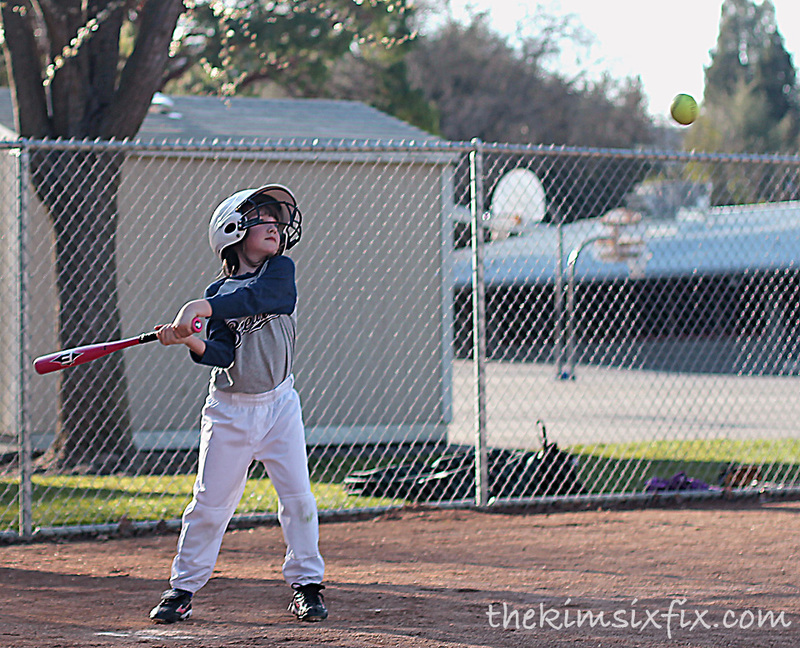 Baseball, Softball, T-Ball season is upon us and as if you are a parent to a ball player you know that means: SNACKS!! Both my daughters are softball players and to this day, their favorite part of the game is still the snacks afterwards. 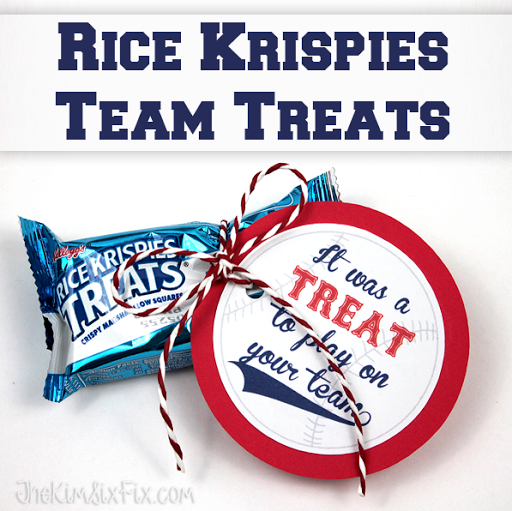 So I thought I'd create some Rice Krispies team treats. 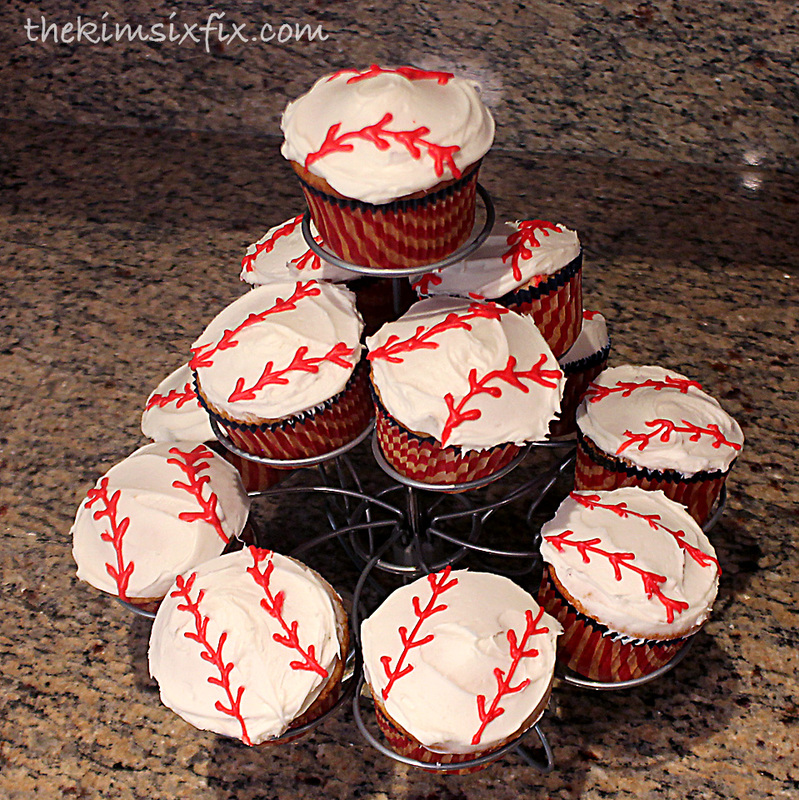 The kids love them, and they don’t contain high fructose corn syrup and don’t need to be refrigerated during the game. I created this gift tag in photoshop. I printed out five on a sheet and cut them out. EITHER file is FOR PERSONAL USE ONLY. You cannot use it commercially and and do not share the file, but instead send people the link to download the file directly. If you use the file for a project you share online, please credit and/or link back to me. Once I had the tags cut out, I backed them with slighter larger cardstock and glued them together with a glue stick. I used a hole punch to make place I could tie it on to the treat. So cute! And not hard to make.. They would be great for Valentine's Day or a Birthday party as well.